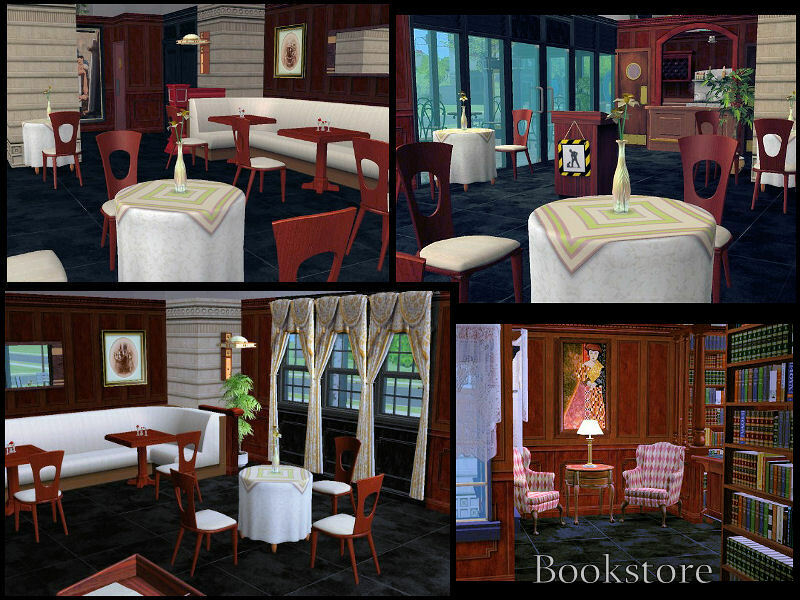 *NOTE: Celebration is NOT required to install this lot if you install it with the Sims2Pack Clean Installer, found here: http://sims2pack.modthesims2.com/ However, you will lose the hurricane table lamps and circular tables. 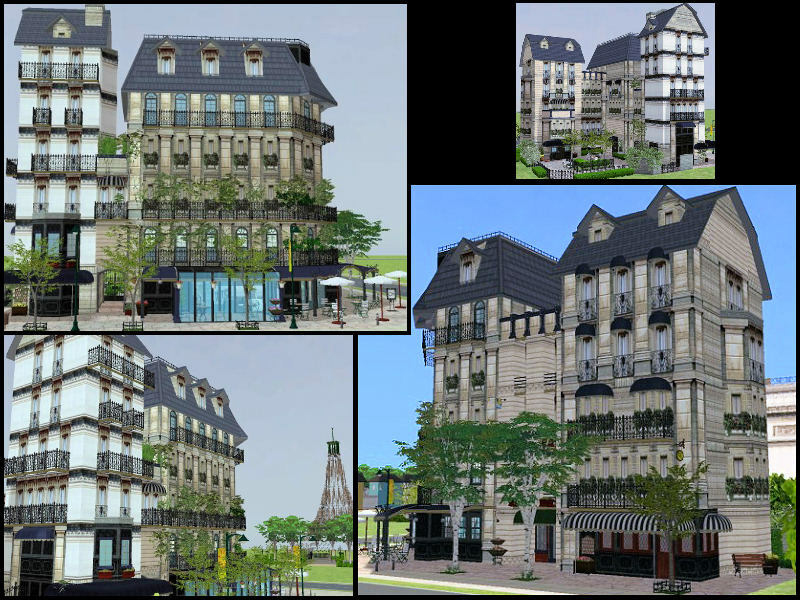 Based on the historical Caf� de Flore in Paris, I�ve been fighting the compulsion to construct this lot for some time. 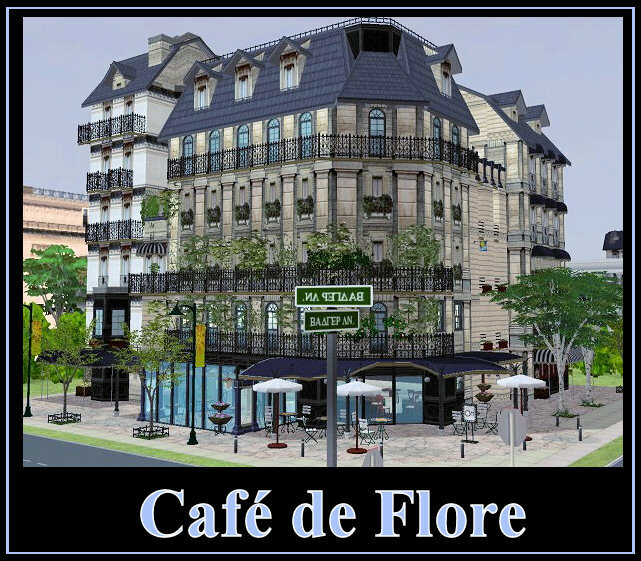 More of a modern-day tourist spot with a small park, bookstore and shop, I had wanted to create a place in which my sims could reinvent the world over coffee and croissants in the manner of Sarte and de Beauvoir. More importantly, I had wanted it to be playable which is why I had chosen to limit this district corner to the ground level. 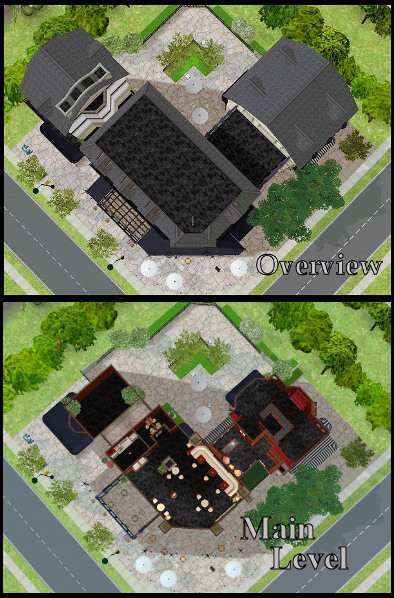 The floors and terraces above, however, are readily accessible if you wish to tack on some stairs. 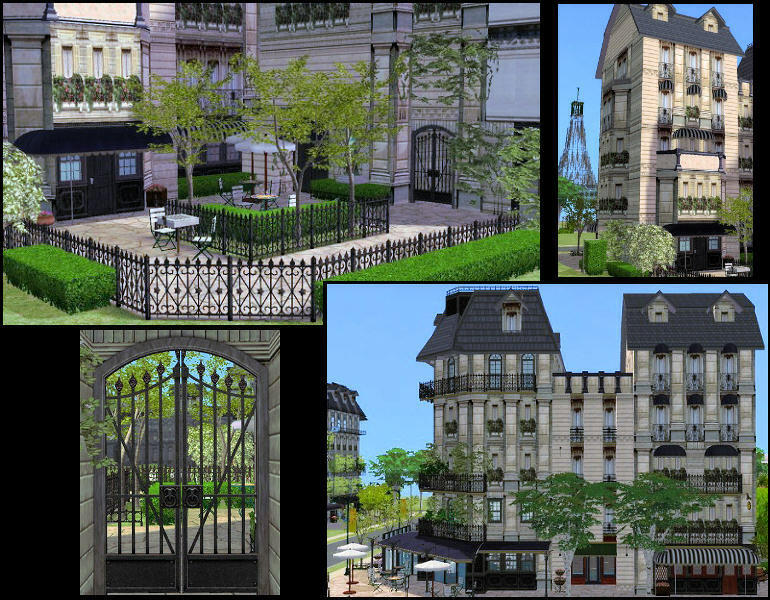 *NOTE: Please DO NOT upload this lot, or any of my other works, to the Exchange and/or any paysites without my consent.